( Photo of the Day–see below). After 240 columns, my Voices of Maui Beyond the Beach column in Lahaina News ends this week. Time to move on two new things including new on-line news and commentary on things Maui and things the 2016 election. An excellent report in Lahaina News by Louise Rockett notes that developer Howard Kihune has tried to wrangle $800,000 in county funds to supply solar power for a small affordable housing development he hopes to build in West Maui. Kihune owns the company that would supply the solar. It could be he will make more money selling the solar than in building the affordable housing. Council Member Elle Cochran is to be commended for noting that county affordable housing funds are for housing—not buying solar power. The development has also greased the skids with a committee on variances asking for a variance to provide only one entry exit point instead of two as required by fire regulations. At a hearing it was clear members of the county variance group had no clue as to the topography of the area and had already made up their minds. Yet they did not ask a single question before approving the variance. NEXT: GUESS WHO IS RUNNING FOR MAYOR BUT HASN’T ANNOUNCED. 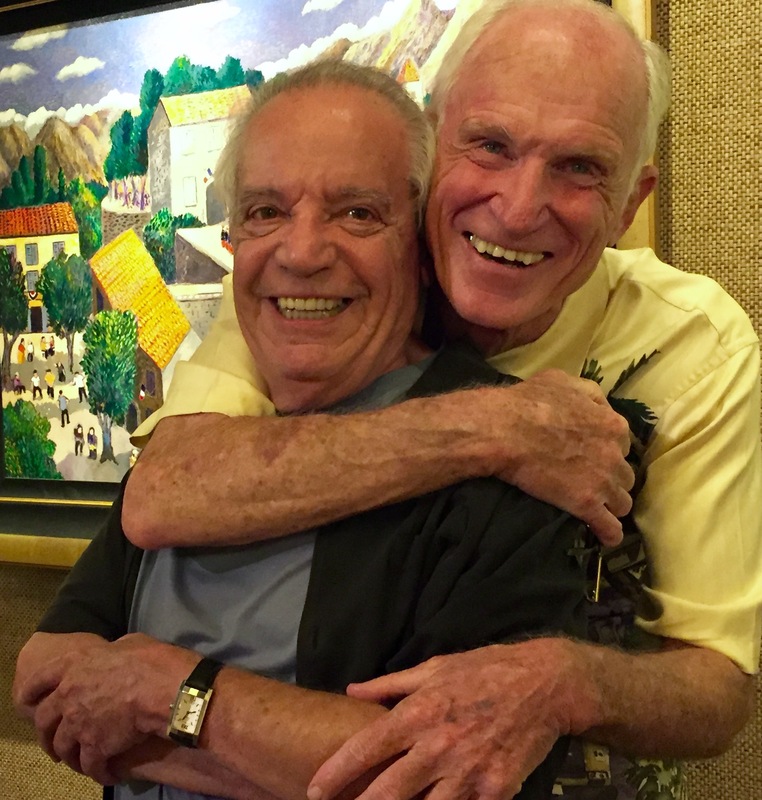 Jim Killett whose Lahaina Galleries has graced Front St. for forty years hugs iconic artist Guy Buffett during one of his last appearances. Killett did a lot for Buffet and Buffet a lot in making the gallery a success. An article is in development.